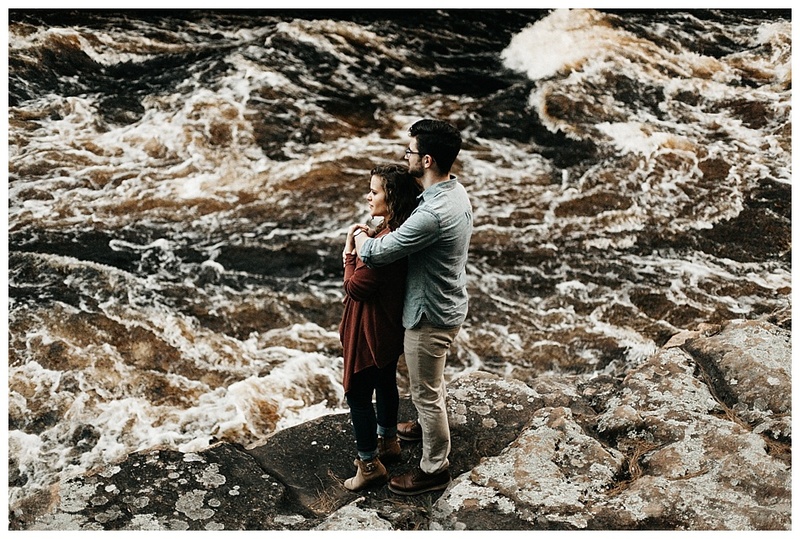 The first week of their junior year at the University of Minnesota, Natasha met Tim during a series of daily events put on by St. Paul’s Outreach and wondered how she’d spent the two years prior not having known this man who was intelligent and well-spoken, with a clear love for the Lord. Tim made it clear he was interested in pursuing more. But only a week earlier, Natasha had entered into a long-distance relationship with someone else. In Tim’s words: The night I met Natasha, she was the only girl who volunteered for a heavy-lifting job in the warehouse we were working in. I was thinking to myself, Who is this beautiful girl, involved with her faith, and who seems so tough (even in a hairnet)? We worked at the same station that night, giving us plenty of time to talk, and I was quickly head over heels. I was captivated by the way Natasha spoke with passion and conviction about everything from her major to her world travels to her faith. To say it was difficult to hear that she was already in a relationship would be a massive understatement. How could this be from God? I thought. I had a such strong inclination I was meant to marry Natasha, even in such a short time, that it seemed cruel to have met her only to have her be unavailable. But the Lord was asking me to trust his will for our lives, regardless of what I wanted, and in in the time when I wanted it. Despite getting turned down, we became fast friends and grew to know each other better over the next few years. In Natasha’s words: Our friendship continued developing through our involvement in SPO in college We saw each other nearly every day, and Tim honored his promise to want the best for me, even if it wasn’t him. When my relationship ended, Tim had to love me again from a distance while I took time to heal and grow closer to the Lord. We didn’t always get it right. There was so much discernment along the journey. 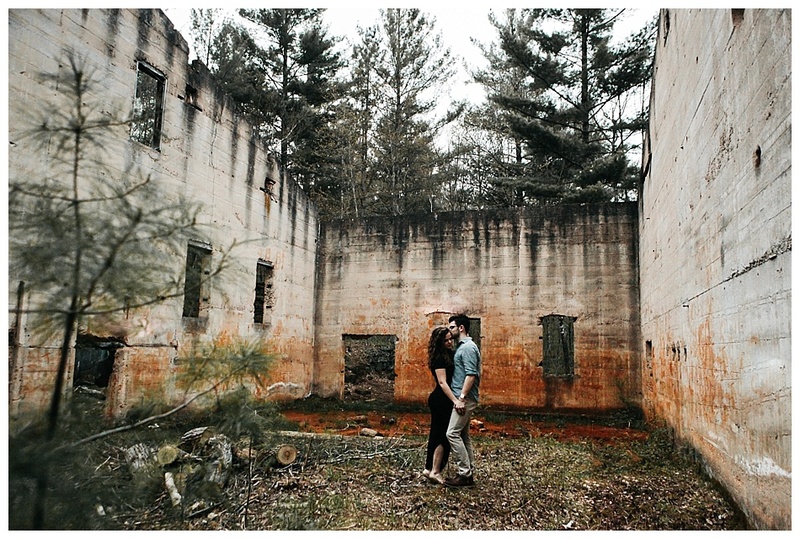 It seemed when one of us was ready, the other pulled back. But by Christmas of our senior year, I knew Tim was someone I didn’t want to adventure through life without. He had proven he was unabashedly committed to drawing me closer to the Lord. He was a man with his priorities in order. Here’s an example: my roommates and I had decided to set aside a period each morning of not having men in the house so that we could say morning prayer together and get ready comfortably. As a result, each morning of senior year Tim--who lived across the street--would wait for me on the sidewalk outside my house to begin the 20-minute walk to campus together. He waited even in the rain, snow, or when I forgot what time it was and left him out there a little too long. I began to cherish these early morning visits, which would frequently include stopping for coffee. It was during these walks that I began to understand the honorable man Tim is. Tim: God allowed me that early time as Natasha's friend to see so many sides of her and grow deeper in love with the person she is. So when we began dating, I knew I’d one day ask her to marry me, but I didn't have a specific plan in mind. One day, she casually mentioned that she thought New Years would be such a romantic time to get engaged. This was in early December, with New Years weeks away, and we hadn't even looked at rings yet. With a little creativity and some help from her family, I was determined to pull off a New Year's Eve surprise. Natasha : On New Year's Eve of 2016, Tim took me to our now-alma mater for a fancy New Year's dinner, followed by plans to meet my sister for ice skating. My sister was mysteriously running late, so Tim suggested we recreate our senior year and walk through campus in the snow. 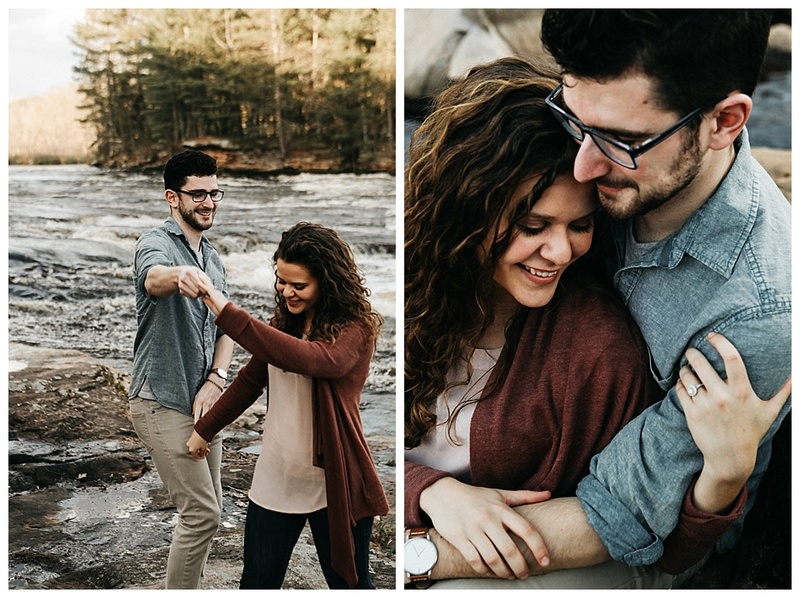 On that walk, in the central park of campus, Tim asked me if I would marry him and do him the honor of going on a life-long adventure to heaven together. Saying yes was easy--for me, the hardest decision of the night was choosing between freezing my fingers or covering up my beautiful ring with my gloves! I thought we were the only ones back at the university that cold night, but much to my surprise, my sister came crawling out of the bushes after the proposal, where she’d been taking pictures! 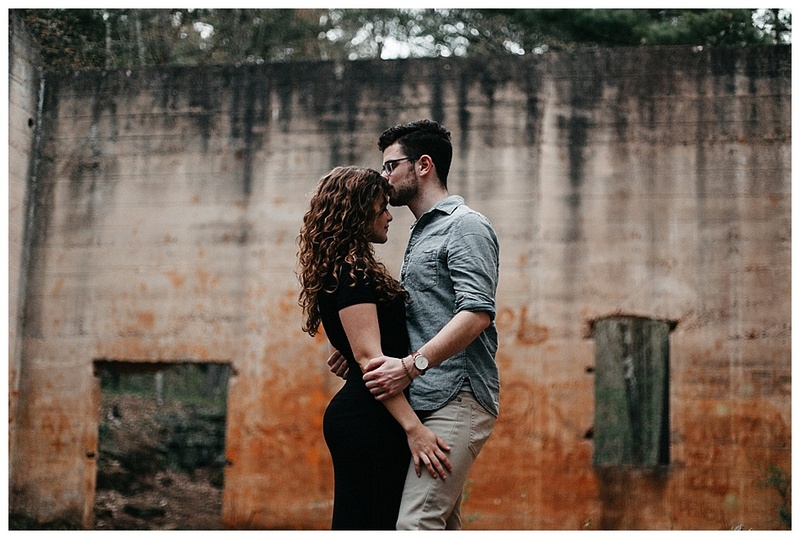 I had always said I would love both of our families to be present following a proposal to celebrate with us, but Tim told me our families couldn't make it due to holiday plans. Instead, he said, he had arranged a table for us, along with my sister and brother in-law, at one of our favorite St. Paul restaurants, W.A. Frost, which also happened to be the location of our first official date. When we arrived, we were greeted by a table of familiar faces. As it turned out, our families’ holiday plans were celebrating with us! We rang in the New Year with people we loved, excited for our future. The journey to our relationship has, truthfully, been really, really hard sometimes. Tim was always so sure of me and of his intentions, but it didn't come as easily for me. I struggled with doubt and that I was deserving of this amazing man. I wanted to be in a relationship with Tim, but was stuck in the trap of believing God's will is always the opposite of our own. I remember speaking to a priest about my reservations. He said, "If you believe you are not worthy of the good things God has for you, then you are making a mockery of his crucifixion. He didn't die so that we could wallow in self-pity; he died so that we might have life and have it more abundantly! So accept his mercy and love, and live in his Resurrection." Talk about some tough love. But it opened my heart to accept the love that God, and ultimately Tim, had for me. Regardless of what lies ahead in our life together, I am excited to be walking with Tim towards heaven. He has proven to be the perfect steady counter to my sometimes doubtful and sassy heart. Tim reminds me of Christ's love by drawing me out of myself, always encouraging me to go further in my relationship with God, and he shines back a reflection of how he sees me when I need encouragement. And when my weak heart needs reminding, Tim is a physical reminder that God is a good, good father wanting nothing but the best things for his children. 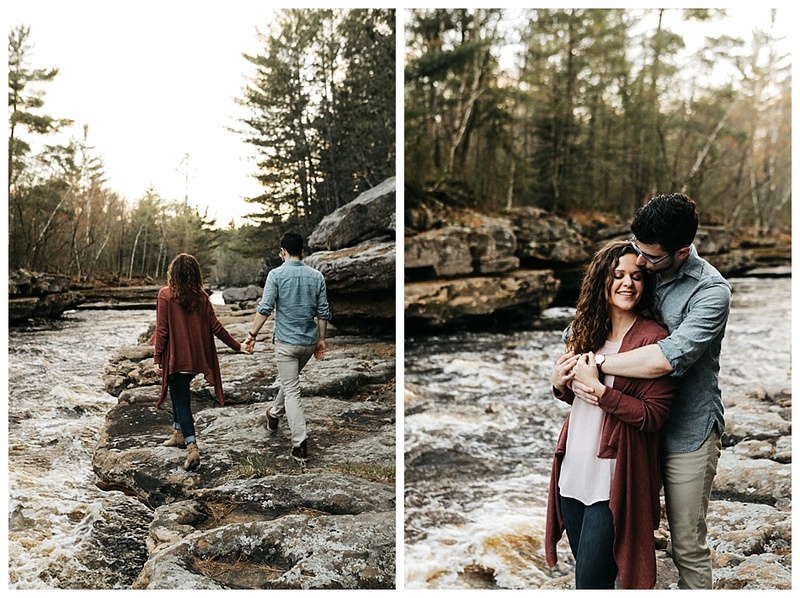 Photography: Sarah Ascanio Photography | Engagement Location: University of Minnesota, Minneapolis, MN | Engagement Photo Location: Banning State Park, Sandstone, MN | Ring: Shane Co.